I recently finished The Good Doctor, an autobiography by Sai R. Park MD that I picked up during the Urbana Missions Conference this winter. The story is about Dr. Park’s journey from his childhood during war-torn Korea, to his success as a medical doctor in the U.S., and then to his missionary efforts to heal the sick and dying in North Korea! In what ways are government and culture related? Can a state change its people’s culture? What can change another person’s heart? What causes a person to question their beliefs? Dr. Park’s book didn’t attempt to answer these questions nor offer an answer to solve all of North Korean’s problem. Despite his accomplishments, Dr. Park wasn’t a perfect doctor nor a completely selfless humanitarian. He made mistakes and had failures. In light of this, Dr. Park’s life is a testament to being faithful to one’s calling and the humility of healing people in God’s name. When you read Dr. Park’s incredible stories about refugees and doctors in North Korea, you realize that their are limitations to medicine. There are larger social issues, political issues, cultural issues that can make a person ‘sick’ even if their physical bodies are healed. If this is true, then conversely, a person can be ‘healed’ even if they do not receive medicine or hospital care! The story that struck me the most wasn’t actually about Dr. Park’s encounters with North Koreans (which were many and powerful). But it was a story about Dr. Park’s encounter with a Christian man in an airport before a flight to North Korea. This story taught me the meaning of humility and hope in medicine. In this story, Dr. Park found himself suddenly febrile, with body aches and chills. Despite his previous successes in bringing medical supplies and treating people in North Korea, Dr. Park started grumbling. He started complaining under his breath. Dr. Park questioned God for how could God let him be sick if he was doing such selfless actions. Just then a young man approached and asked if Dr. Park about the book the young man held in his hand. Dr. Park shrugged him off, thinking it was an English-Chinese dictionary. The young man, feeling embarrassed, left and sat away. WOW! Right? As a doctor it is easy to feel entitled and that there are certain things due to you because you help people. Being a doctor makes it harder to remember that it isn’t us who heal, but it is Jesus who heals. In conclusion, read the book and be blessed! 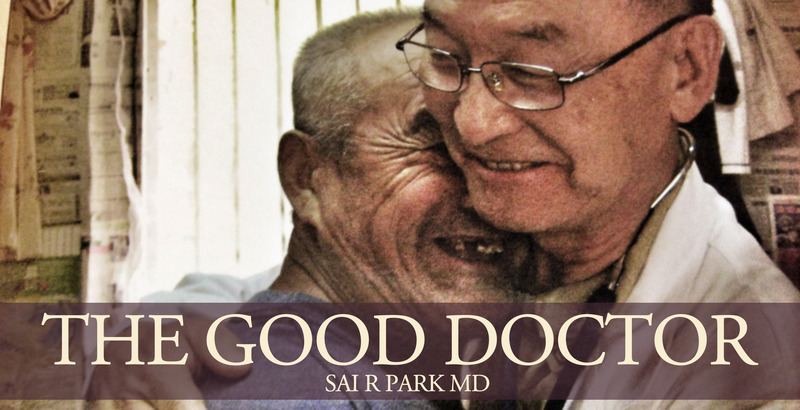 2 Responses to "The Good Doctor – Sai R. Park MD"
Incredible. I am going to try and find that book so I can read it. Thanks for the review. Medical missions is also what was the initial thrust for me to go to medical school. Incidentally, two books that inspired me were Deliver Us From Evil by Dr. Tom Dooley, and Through Gates of Splendor by Elisabeth Elliot. Great site. Thanks! Thanks for the compliment and the recommendations! I read some reviews on Amazon about those books and they look fascinating. Also, great cartoons on your site, hilarious!